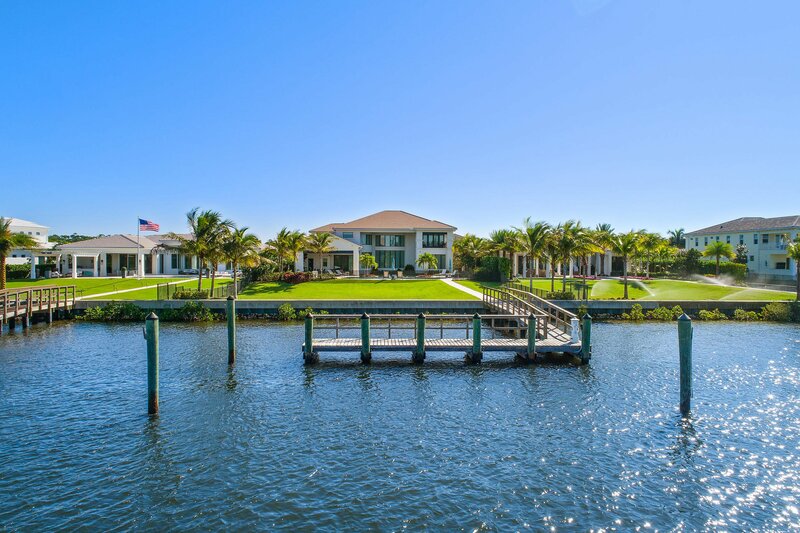 Opulence abounds in this impressive luxury estate home located on 100 feet of direct Intracoastal Waterway in prestigious North Palm Beach. 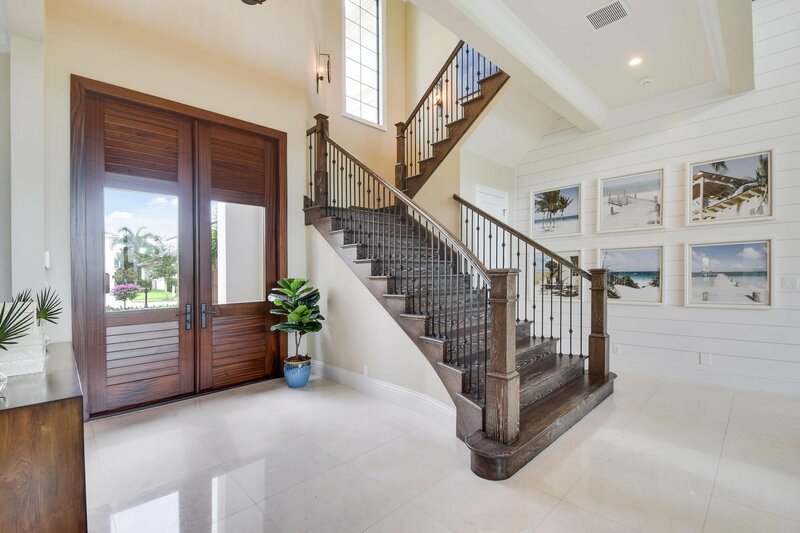 The grand, gated entryway leads to a custom-built home with over 1.5 million in upgrades and professionally decorated space by St. Amour Interior Design. 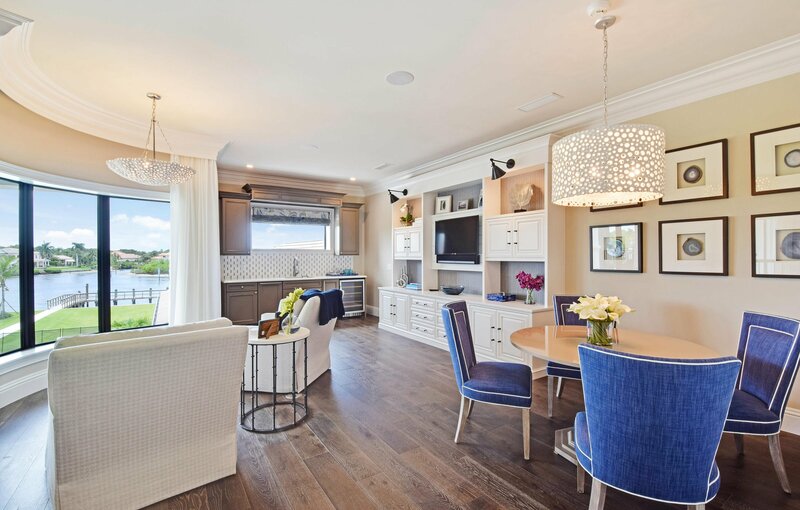 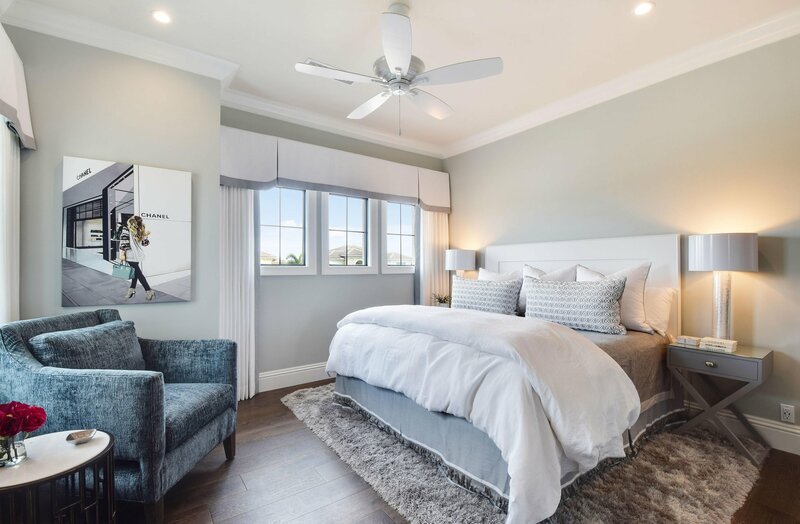 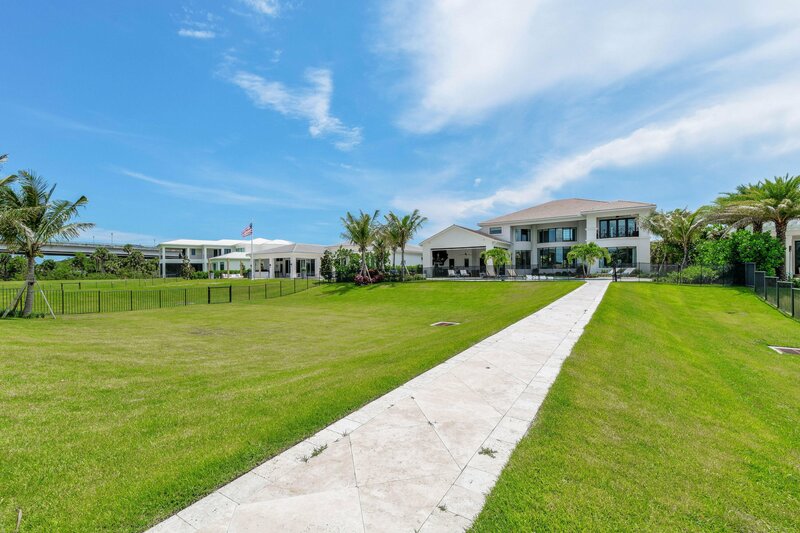 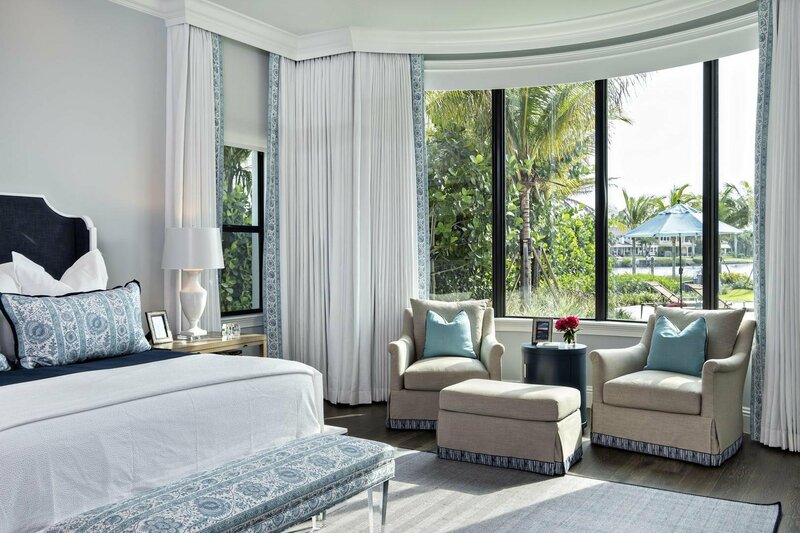 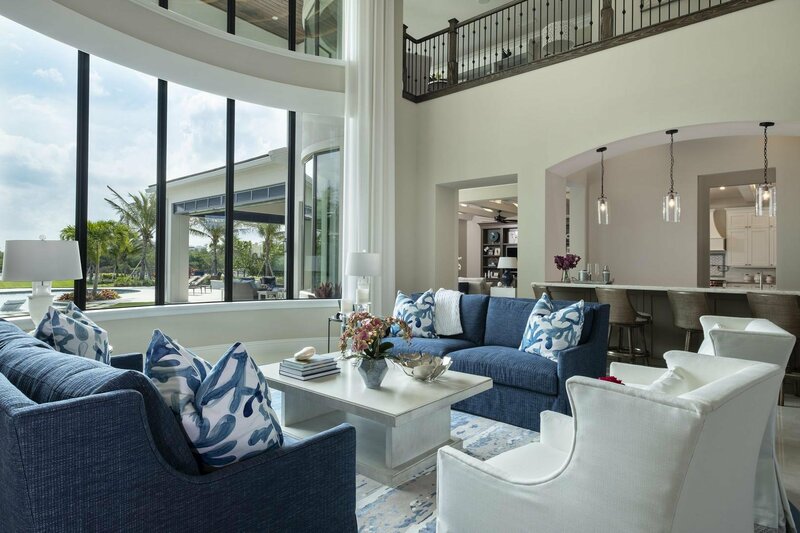 Being offered immaculately furnished in the sleek, coastal-contemporary style, you will want for nothing when it comes to elegance or comfort throughout the 10,505 total square feet. 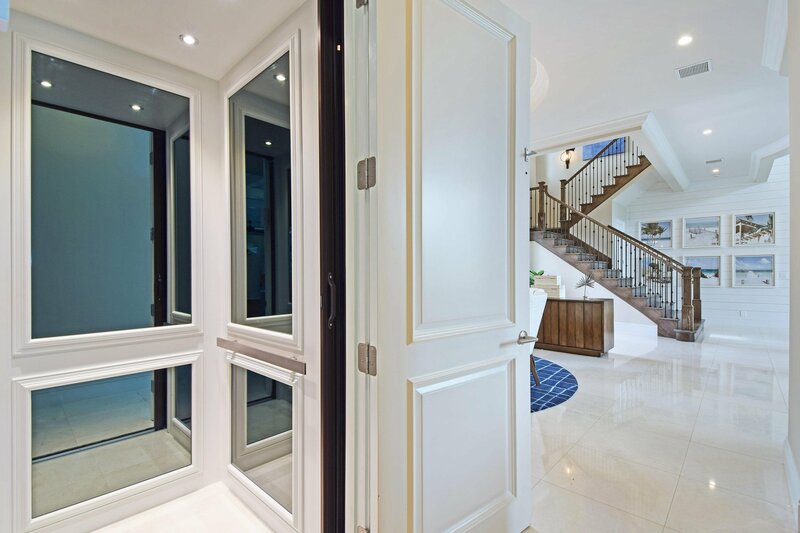 This rare offering features 6 bedrooms, 6 full baths, 2 powder rooms, a large office/den and a private elevator. 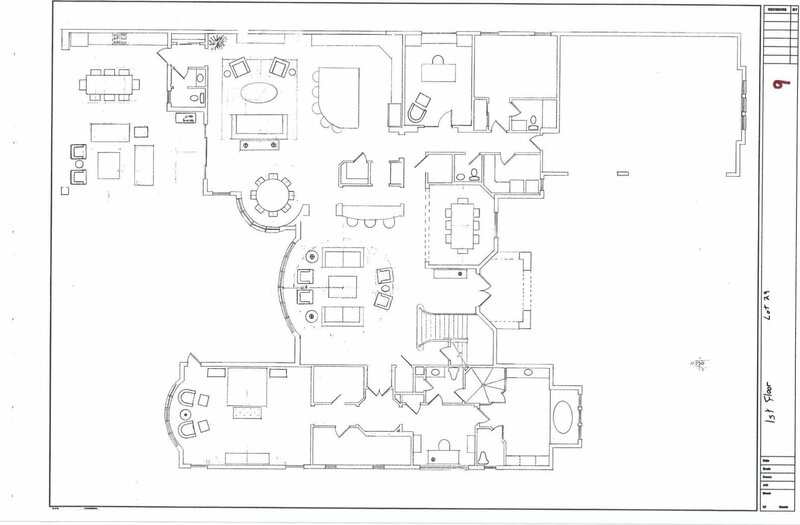 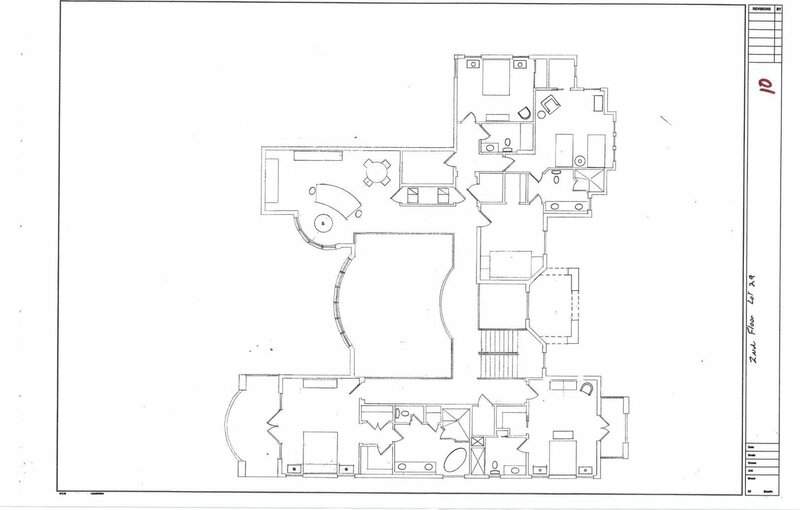 Each floor contains a master suite as well as its own living space and utility room. 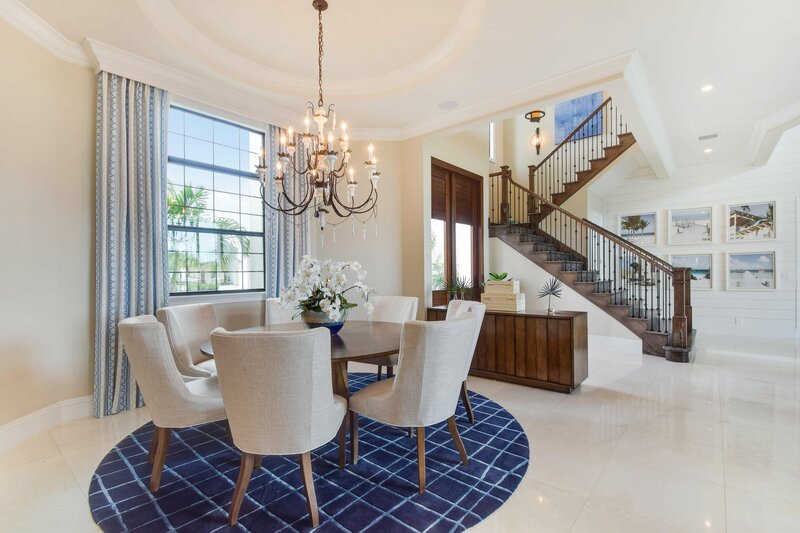 Sweeping water views are visible from almost every room and the highest standards of living are met from the moment you enter this well-appointed space. 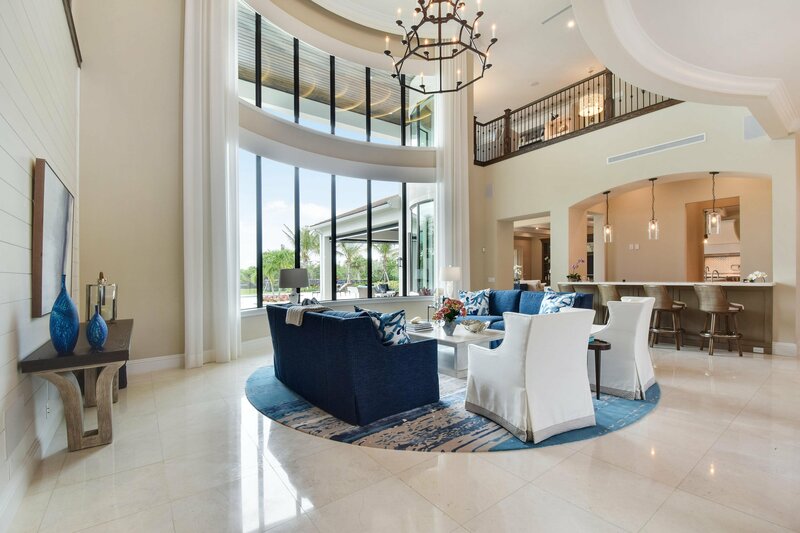 A two-story entryway is flooded with natural light from a wall of windows that encompasses the foyer, formal dining and living space and a full wet-bar for easy entertaining. 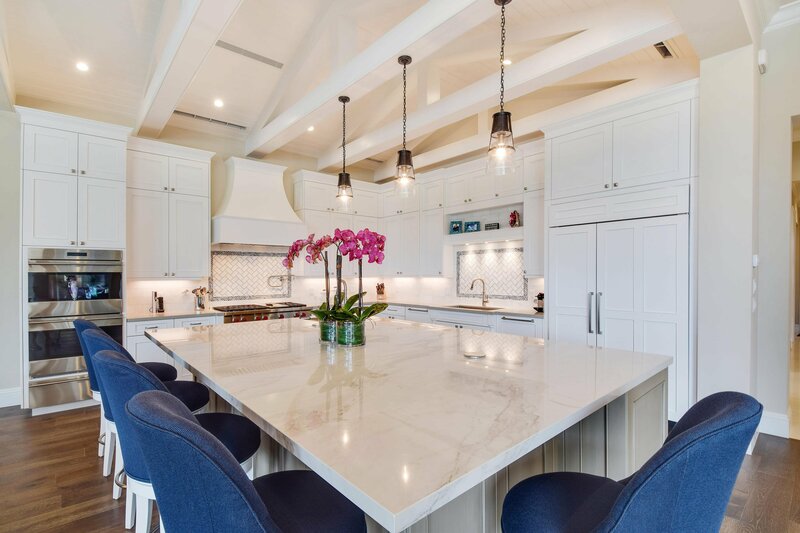 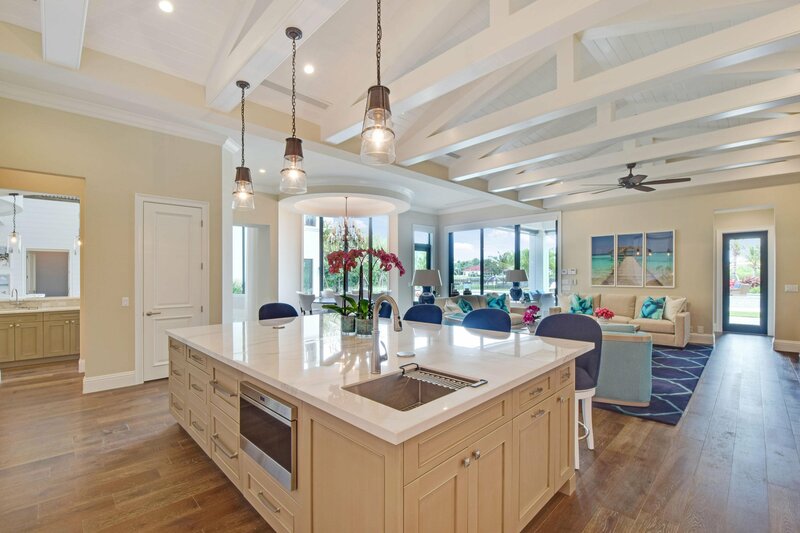 Flowing beautifully into the adjacent great room, an open-concept kitchen boasts an oversized waterfall island with bar seating, two dishwashers, SubZero refrigerator and WOLF 6-top gas range with grilling section. 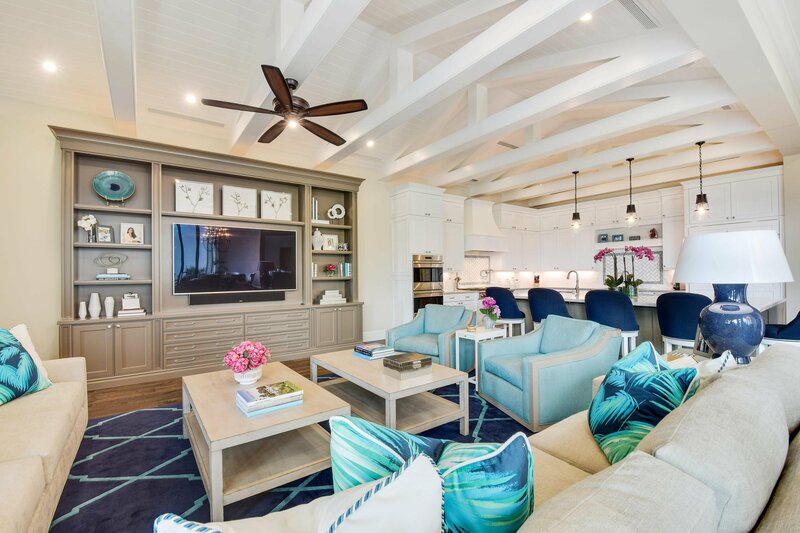 Expertly designed for a seamless transition to outdoor living and entertaining, the living spaces open to an expansive backyard which delivers the ultimate comforts for al fresco dining and relaxing. 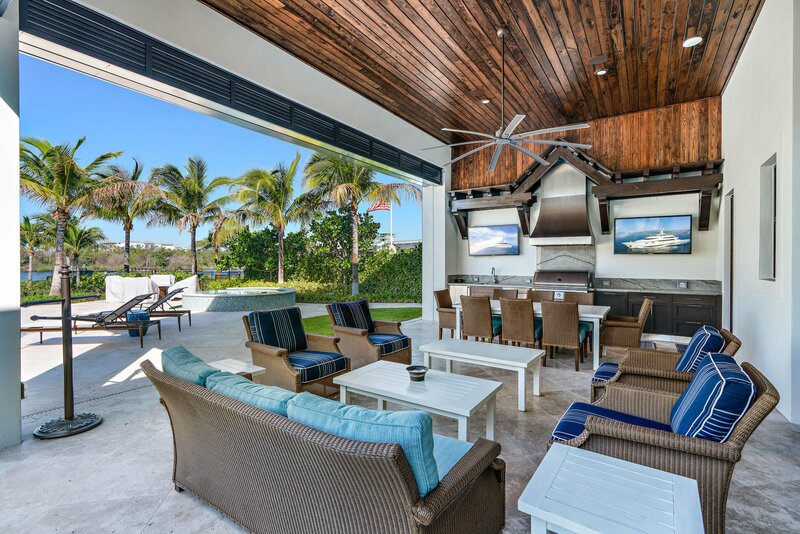 A large loggia with a full outdoor kitchen, two large screen TV's, and motorized retractable screens allow for enjoyment year-round. 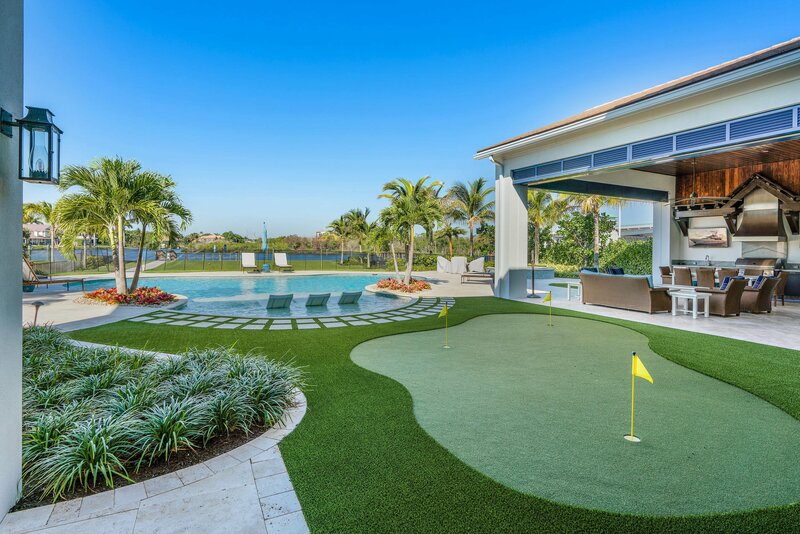 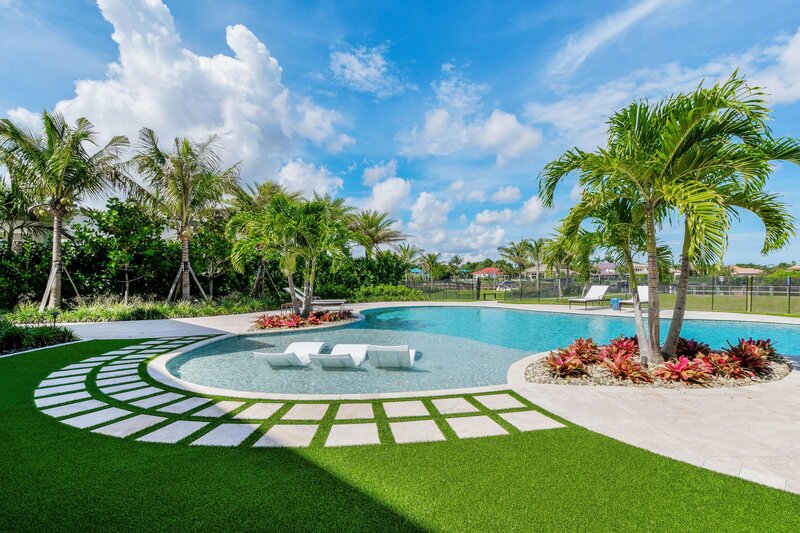 Cool off in the beach-entry pool with built-in loungers or perfect your putt on the customized green just steps from your backdoor. 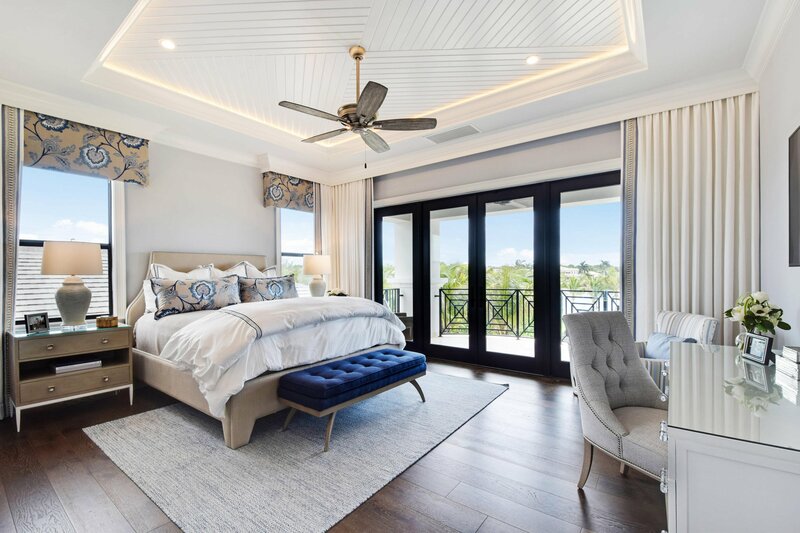 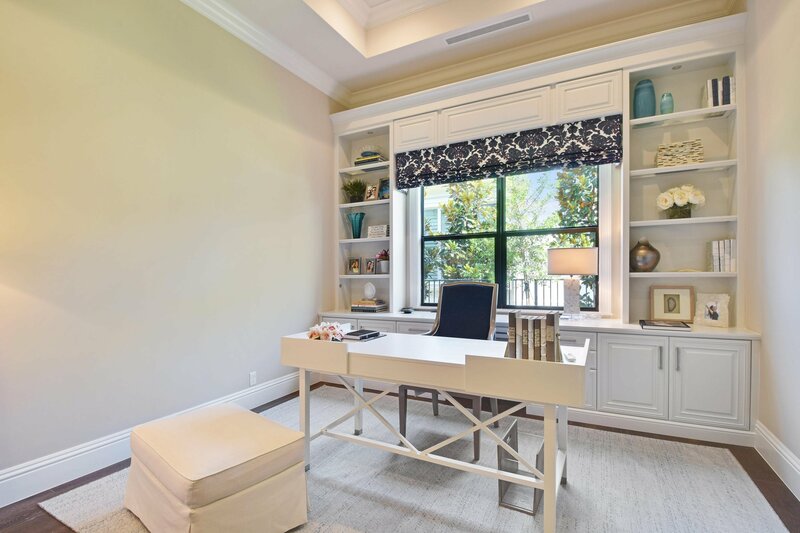 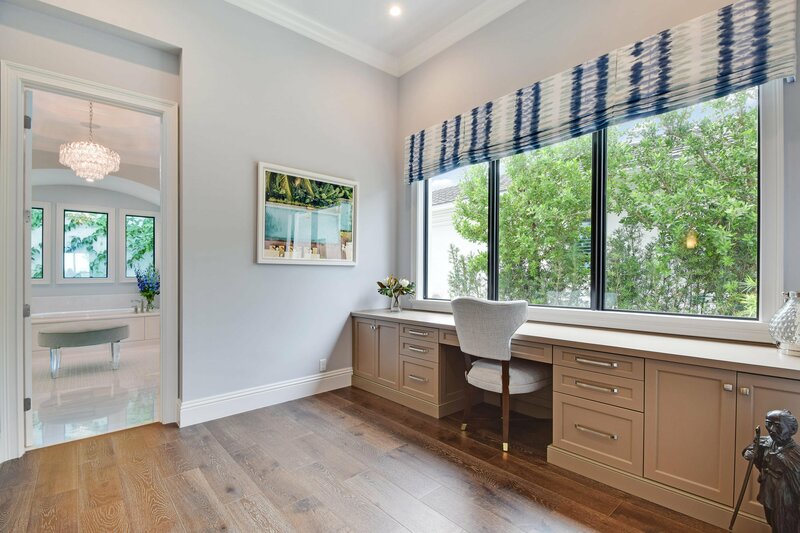 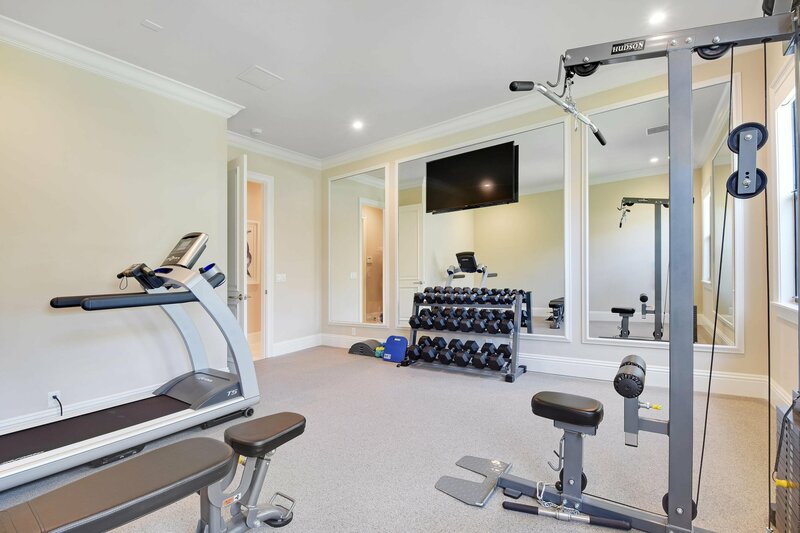 A ground-floor master is an elaborate suite with floor-to-ceiling windows and water views, direct access to the backyard, high coffered ceilings, walk-in closets with custom built-ins and its own garden view office. 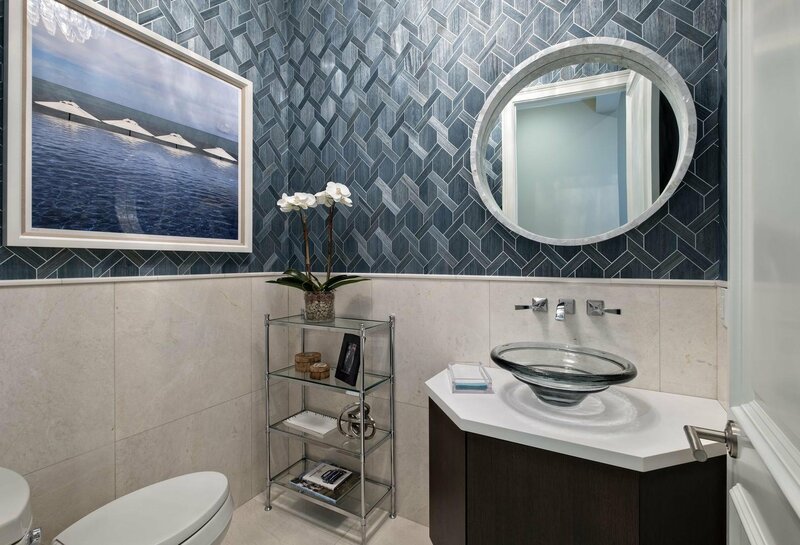 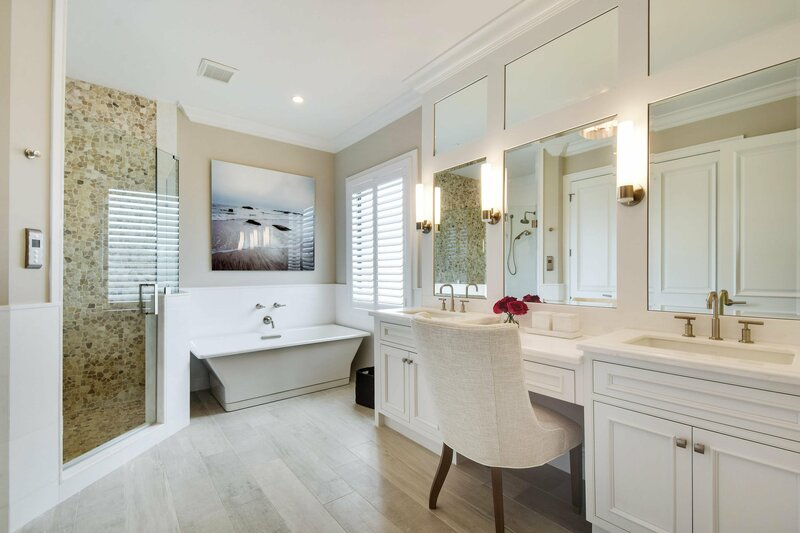 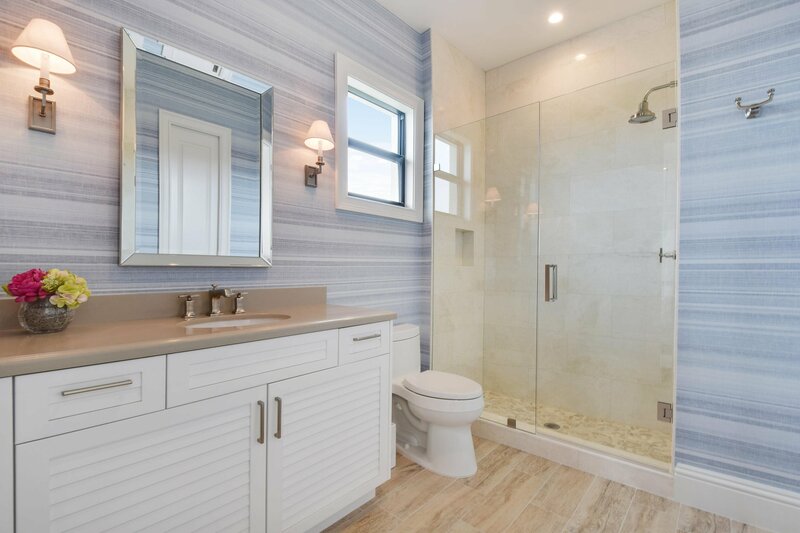 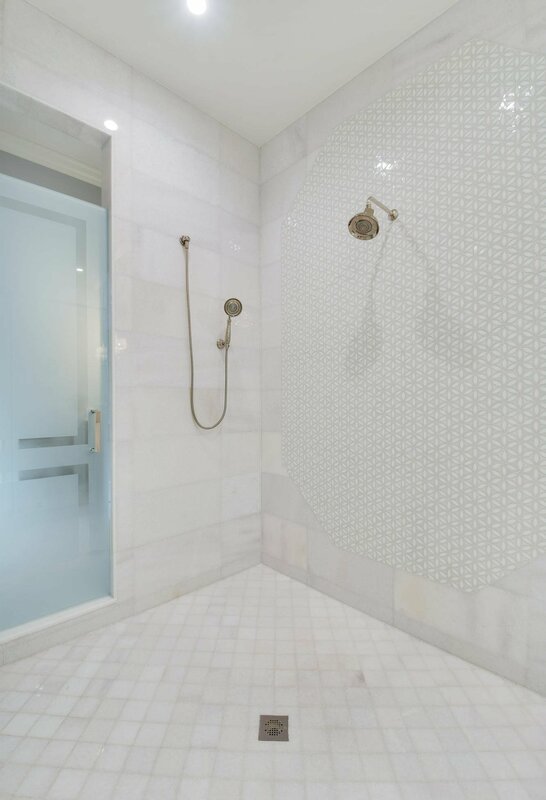 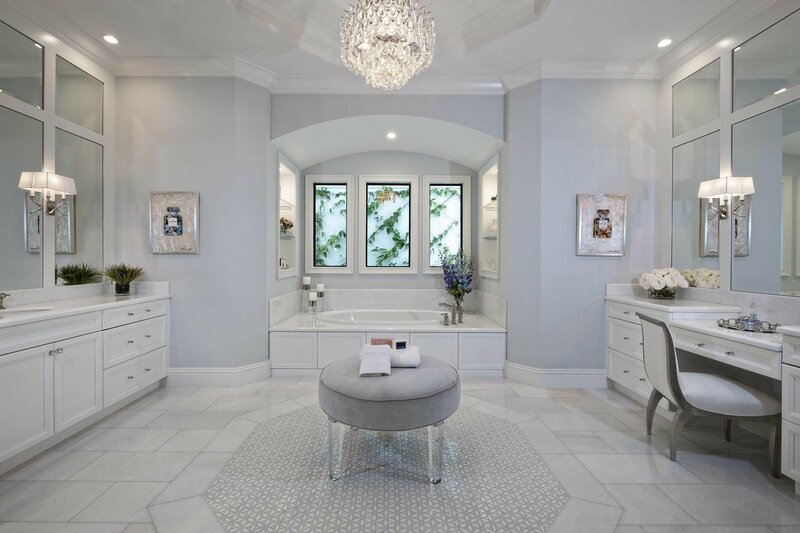 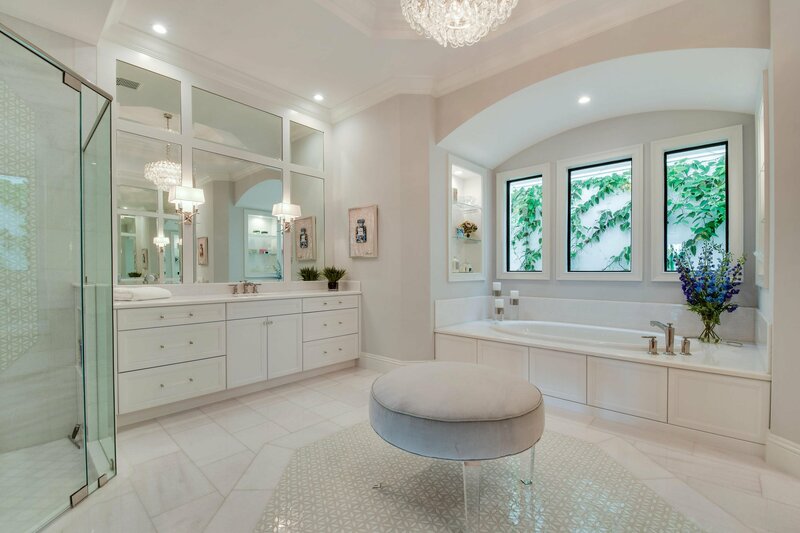 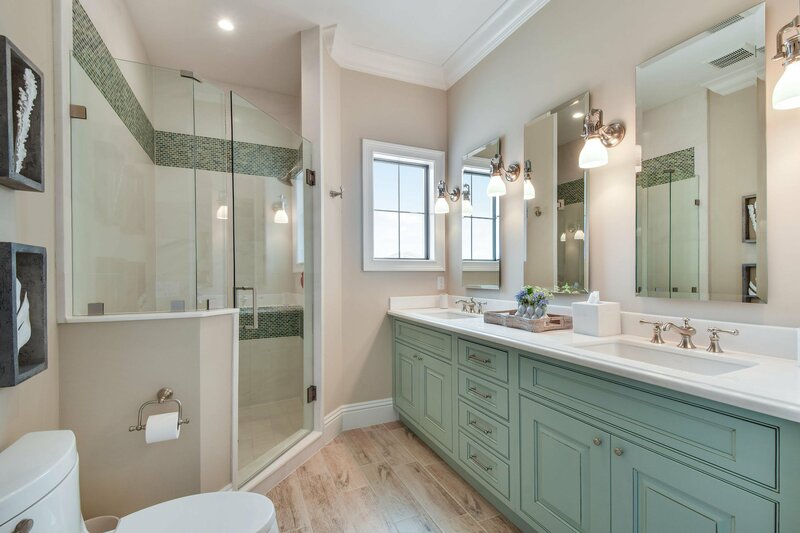 The regal master bath has a spa bathtub, a walk-in shower with electric controls, two separate vanities and separate W.C. Take the private elevator or climb the open, hardwood staircase to the second level which lives like a house all of its own. 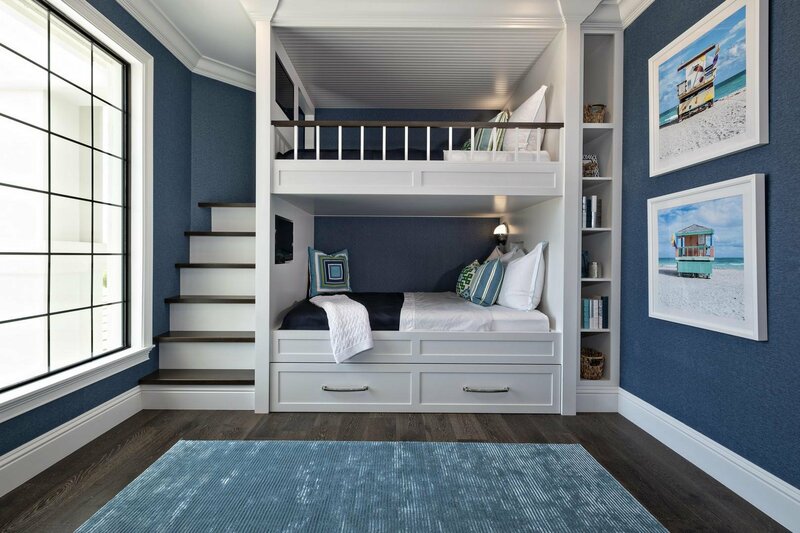 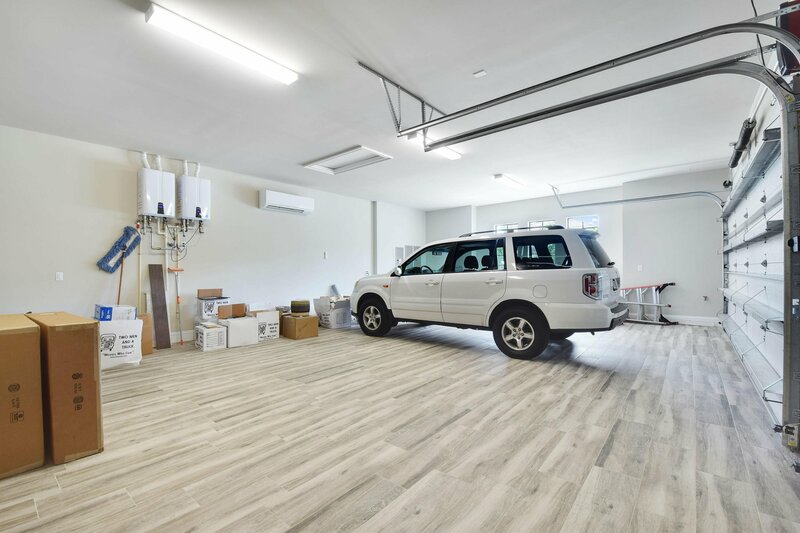 A loft-style living space with a kitchenette is available for the 5 upstairs bedrooms and there is an additional full-size utility room for upmost convenience. 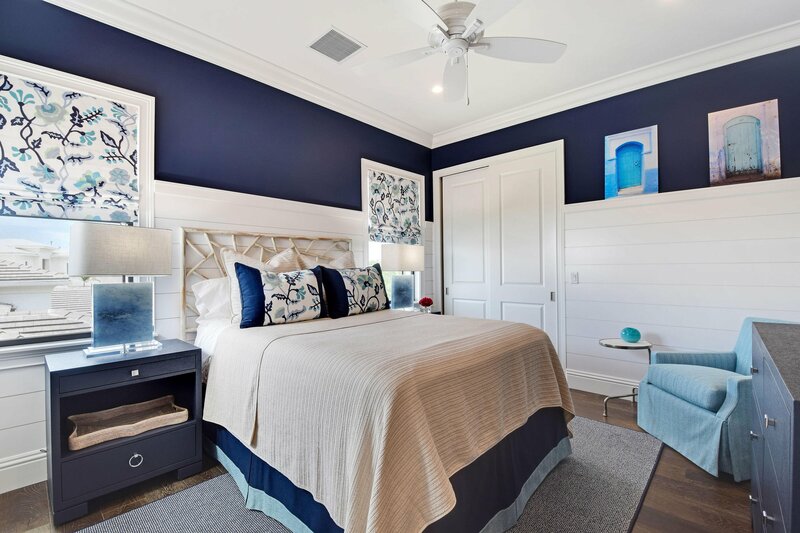 The home is complete CBS construction top to bottom with hurricane-impact windows, all outfitted with electric blinds, black out shades and exterior plantation shutters. 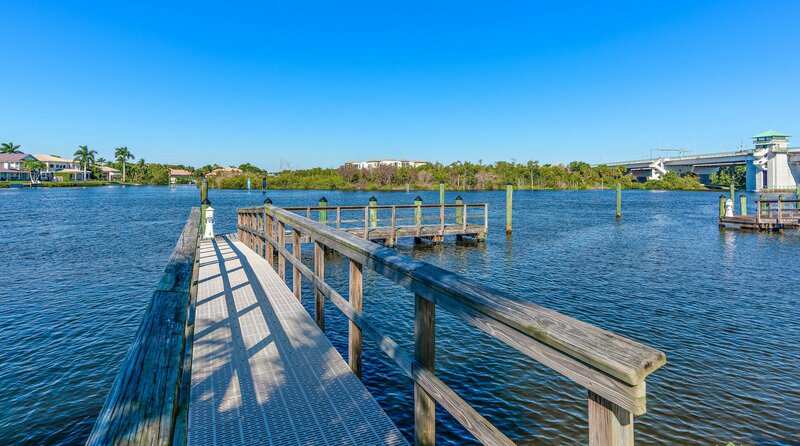 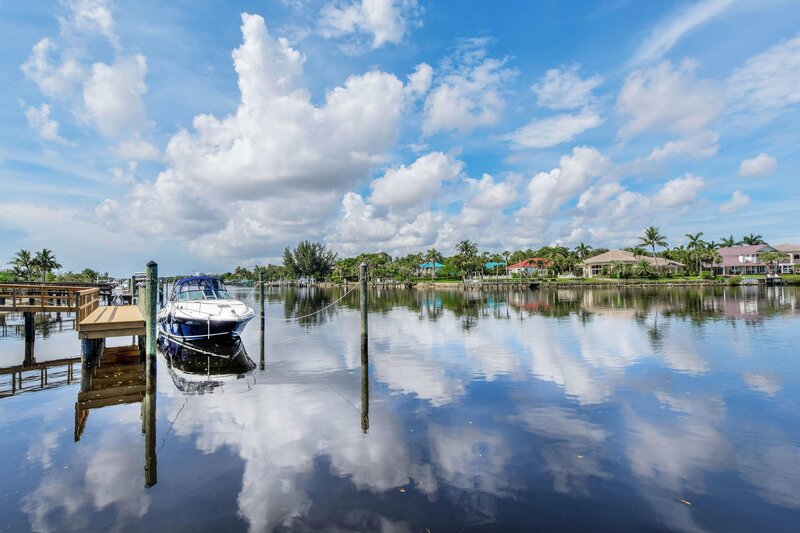 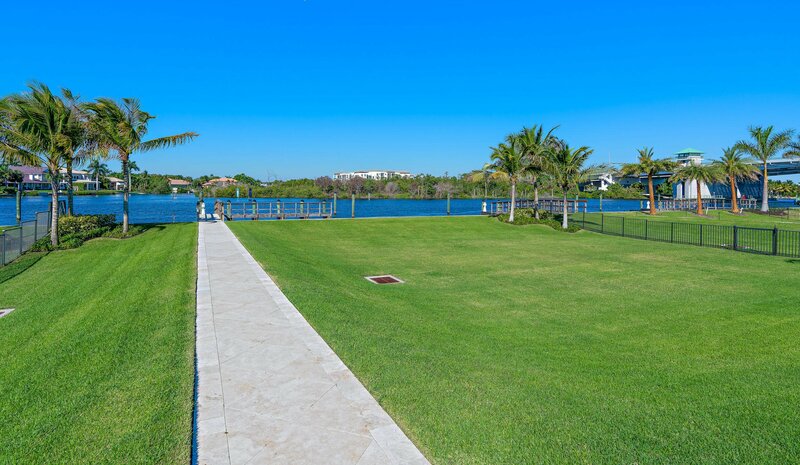 The private 100 foot boat dock has direct intracoastal access and no-fixed bridges. 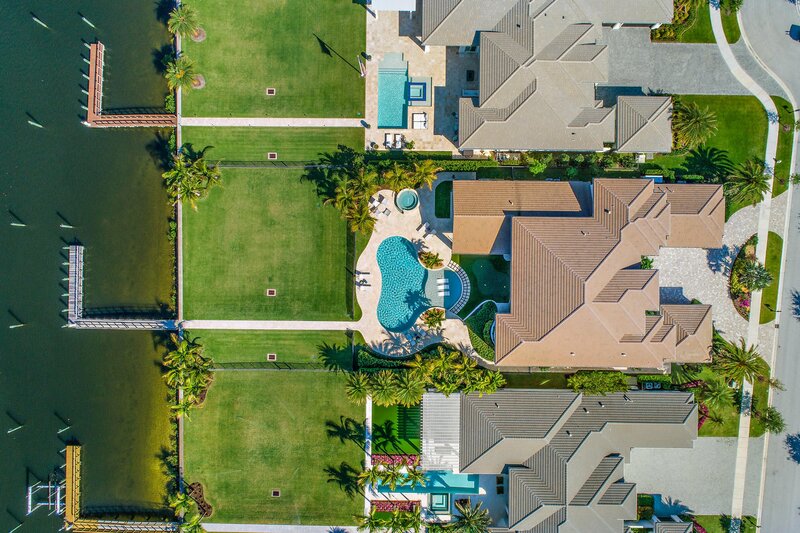 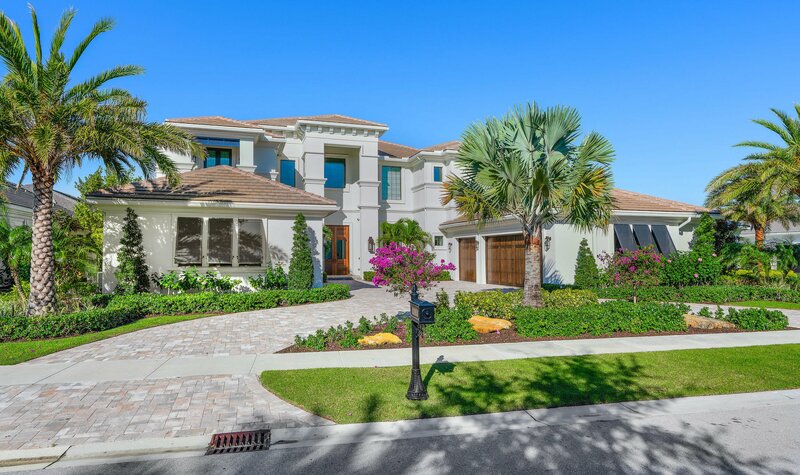 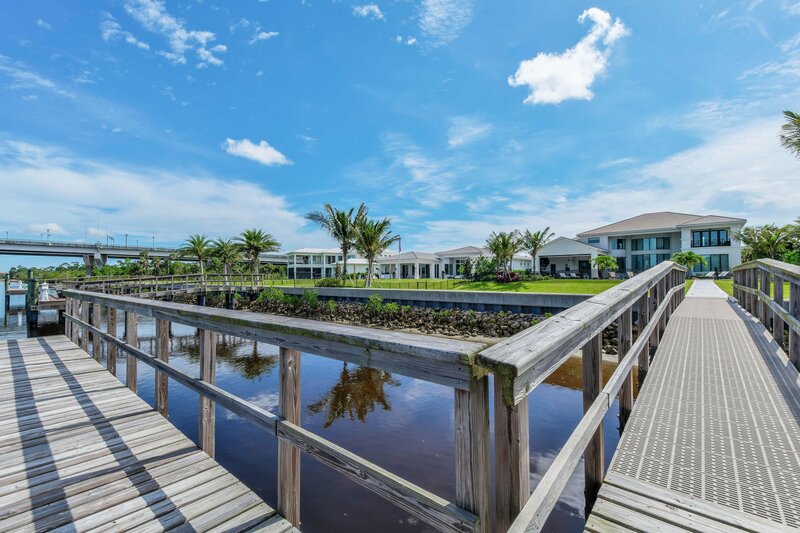 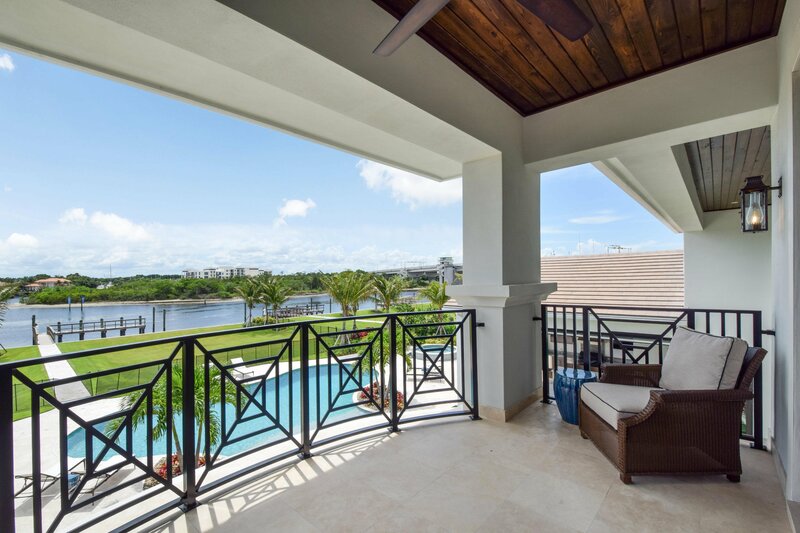 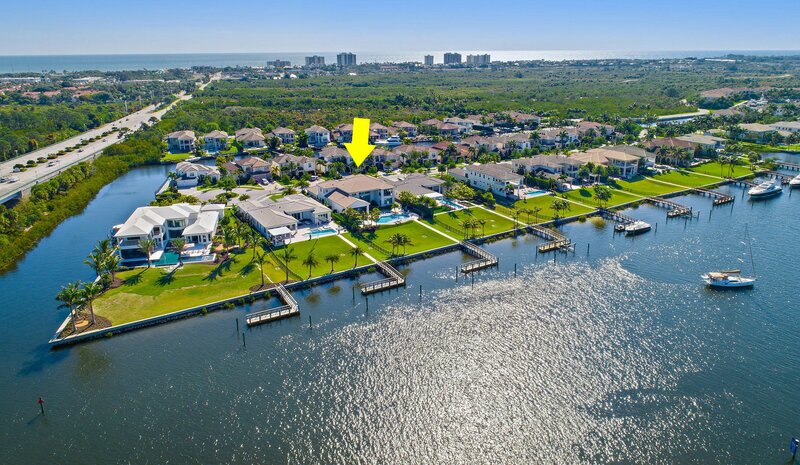 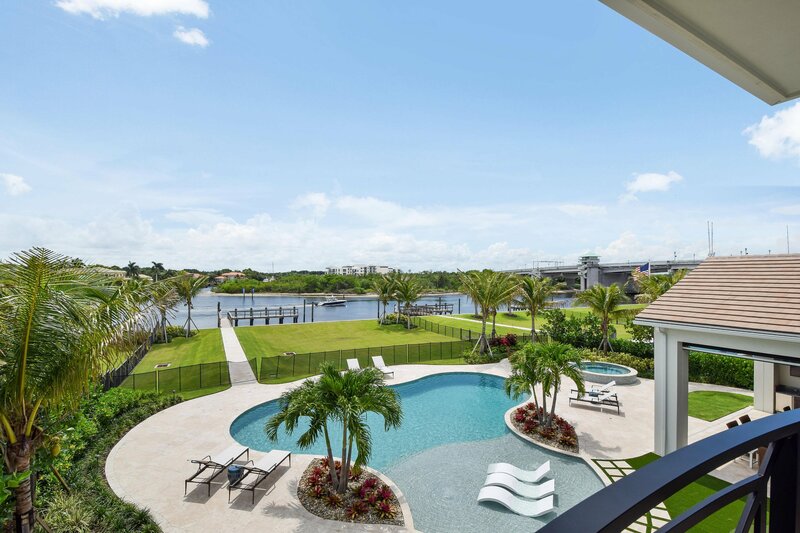 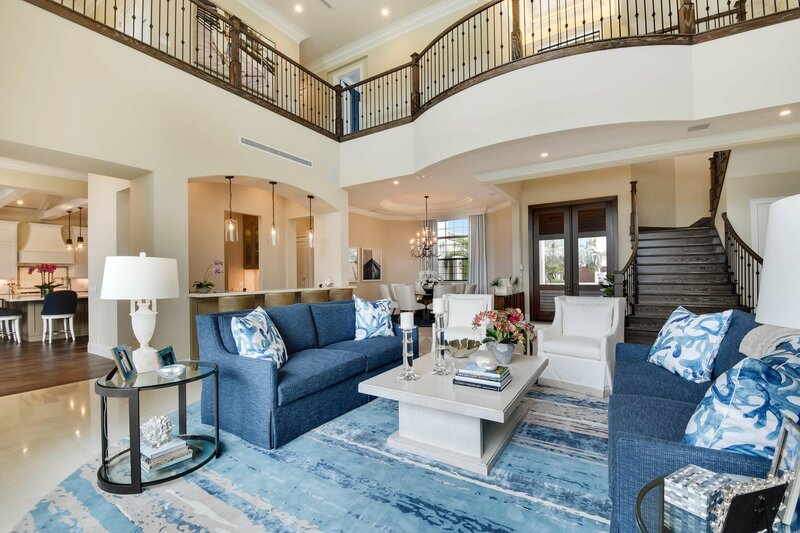 Located in Frenchman's Harbor, an exclusive Toll Brother's community with just 78 waterfront residences and 24-hour manned security, perfectly situated near Florida's most pristine beaches, finest shopping and dining, boating, golfing and more.